Pics + PRS SE245 added. Prices adjusted. Now up on TradeMe with Chapman, Wah and Greenback added at $1 Res! Vintage AFD100 also now listed on TM at $1 reserve. Open to offers on my other items. 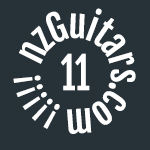 Hey there, if you still have the PRS or Fernandes guitars, would you consider listing them on TradeMe also? JordanDuder wrote: Hey there, if you still have the PRS or Fernandes guitars, would you consider listing them on TradeMe also? Hey there, the PRS has sold. I'm intending to put the Fernandes on TM on the weekend. I was going to put the original EMGs back in it. I just saw your vintage come up on trademe and jumped on it. The guy who bought it didn’t want it and relisted. Picking it up in a fortnight. Thanks for sending through pics, really wish I could of afforded you other les paul but really excited to be trying this one out. Oh, I'm surprised he sold it so soon. He told me he was really happy with it.